While discussions of a national teacher shortage crisis have taken place over decades, a generic shortage has yet to materialize. 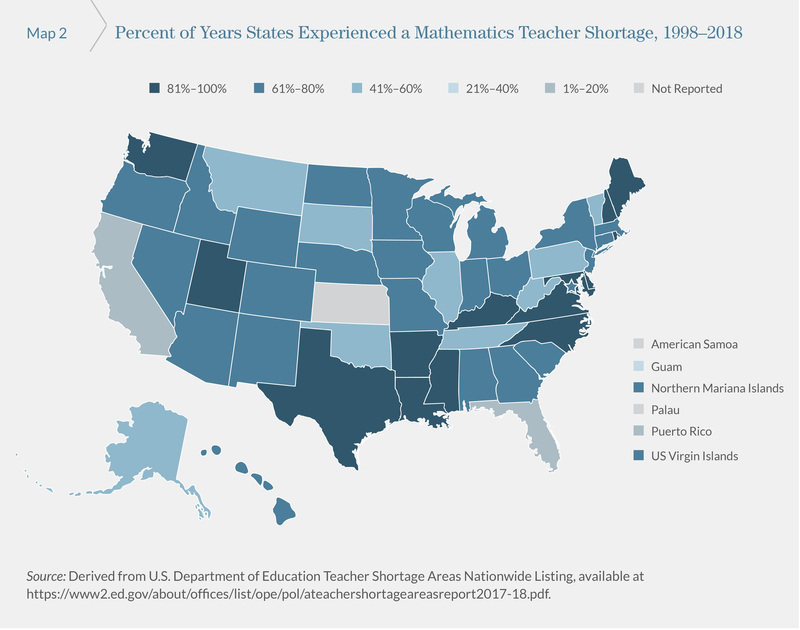 To get a clearer picture of trends in teacher subject-area shortages across the country, Kaitlin Pennington McVey and I analyzed national data on teacher shortage areas submitted by states and territories to the U.S. Department of Education. I wrote about our recent findings for The 74 today. Our analysis indicates that subject areas with teacher shortages vary significantly by state and time period, even among the top shortage areas. But there are also very real chronic shortages — in some states, lasting as much as 20 years — that yet have been unresolved because poor data has led to ineffective policies. We can never fully address teacher shortages if we lack consistent and accurate data about the actual challenges. Without better data, we are wasting time and resources developing misdirected policies that may further hurt the teaching workforce. This entry was posted in Federal Education Policy, State Education Policy and tagged teacher data, teacher shortages, teacher supply and demand on January 30, 2019 by Justin Trinidad.